Aguila 9mm Luger Ammo 124 Grain Full Metal Jacket ammo for sale online at cheap discount prices with free shipping available on bulk 9mm Luger ammunition only at our online store TargetSportsUSA.com. Target Sports USA carries the entire line of Aguila ammunition for sale online with free shipping on bulk ammo including this Aguila 9mm Luger Ammo 124 Grain Full Metal Jacket. Aguila 9mm Luger Ammo 124 Grain Full Metal Jacket ammo review offers the following information: For over 50 years Aguila has been dedicated to the development and manufacturing of recreational, hunting, self-defense, and law enforcement ammunition. Aguila is proud to offer an extensive line of ammunition and is recognized as one of the largest rimfire manufacturers in the world! Their ammunition is produced in a newly updated state of the art facility that combines today's technology and premium raw materials with some of the most extensive quality control processes in the industry. This Aguila 9mm Luger Auto ammunition is loaded with a 124 grain Full Metal Jacket bullet. Aguila offers high-quality rounds that cycle flawlessly with remarkable consistency in both velocity and accuracy. All Aguila meets SAAMI and CIP standards guaranteeing the reliability and performance that customers demand. Aguila ammunition is manufactured by Tecnos Industrias, which is Remington's plant in Mexico, and is premium quality. Aguila offers high quality affordable target and practice ammunition. Aguila is cost effective, quality ammunition for the high volume shooter! Aguila 9mm Luger is non-corrosive, new production ammunition in boxer primer and reloadable brass cases. The use of non-corrosive priming means reliable ignition in any weather condition. 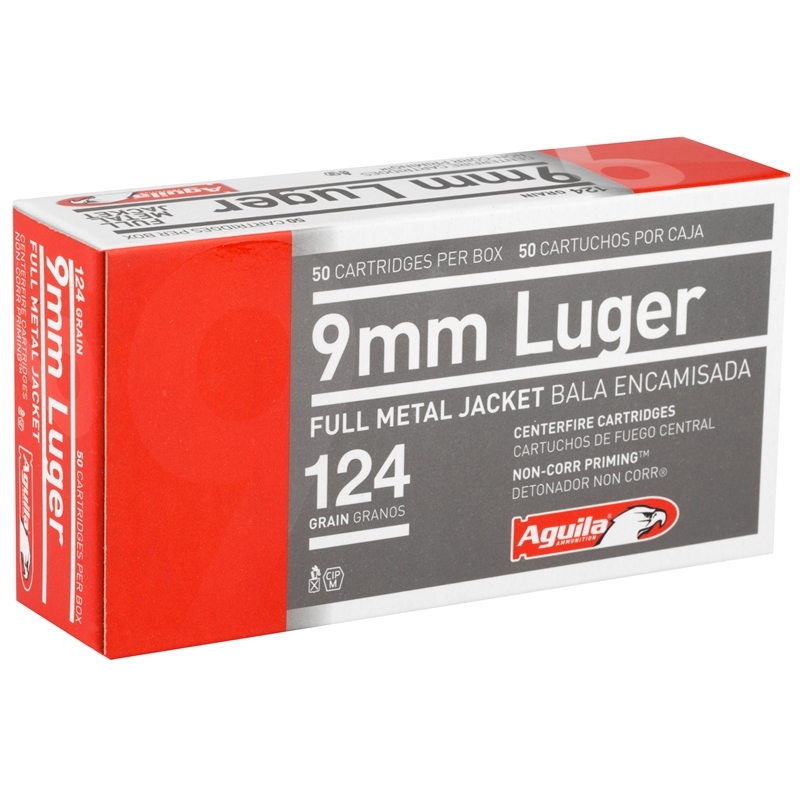 Aguila 9mm Luger ammo is packaged in boxes of 50 rounds or cases of 1000 rounds. Purchase a case of Aguila 9mm Luger bulk ammo from Target Sports USA and receive free shipping! 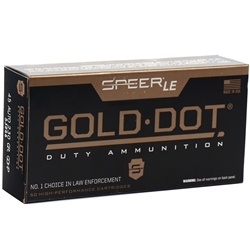 Great value, good Aguila 9mm bulk ammo with free shipping. Target Sports USA have the best pricing for any ammo. Response:Hi Doug, just received today 3000 boxes, 150 cases of Aguila 9mm Luger Ammo 124 Grain FMJ ammunition. Thank you for buying ammo at Target Sports USA. Aguila ammo is made in Mexico by a company TECNOS Ammunition. Aguila is a well known brand in the ammunition world for its high standards and high quality ammunition for both the centerfire calibers as well as their famous rimfire line that includes Aguila 22 Long Rifle ammo. All Aguila ammunition is made out of high quality brand new brass casings, and it is non corrosive. Target Sports USA has Aguila Ammo for sale online with free shipping on bulk ammunition orders.